Last week, I shared the first of three printable advent calendars I created for you this year. 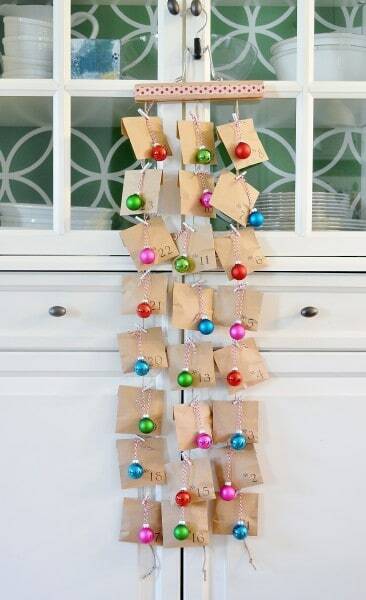 I think these are so fun as an easy, economical, yet fun, advent calendar. This Santa Claus advent calendar is the second one I have to share, and it’s my son’s personal favorite. Who wouldn’t want to help Santa grow his beard in preparation of Christmas day? 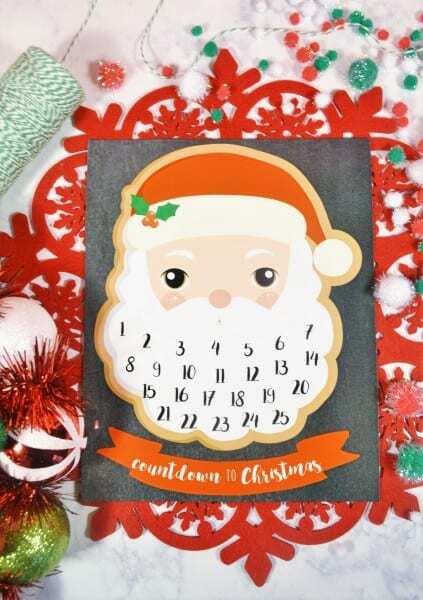 I remember in grade school having one of these to count down to the Christmas holiday–each day, we added a cotton ball and watched his beard grow! For this calendar, small-to-medium-sized cotton balls work best; the jumbo cotton balls may be a bit too large. Each day, your child can use a glue stick to add a cotton ball to Santa’s beard, and when his beard is complete, Christmas is here! 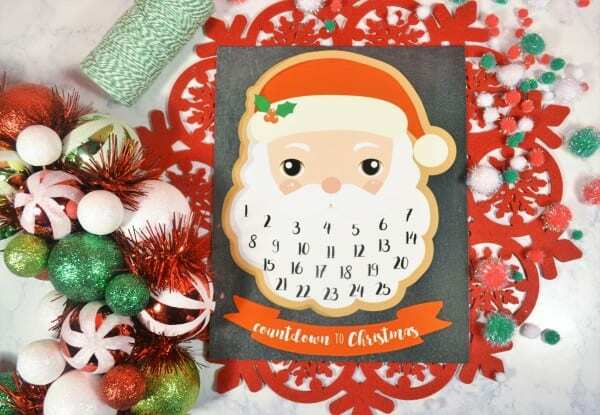 This Santa Claus advent calendar prints best on 8×10 heavyweight paper; because of the dark background, I’d recommend sending to your favorite photo printer to print on cardstock or photo paper. Want something a little different to count down the days until Christmas? 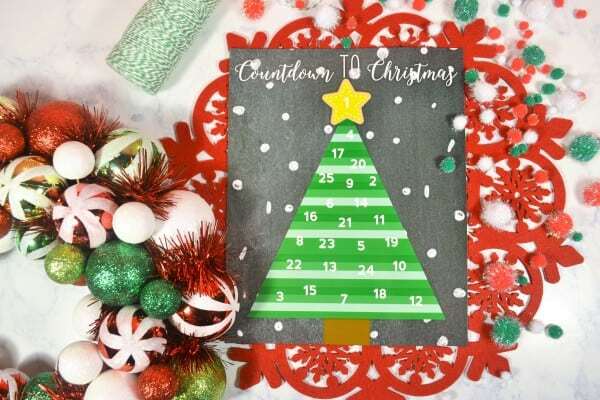 This Christmas tree printable advent calendar may be just the thing! 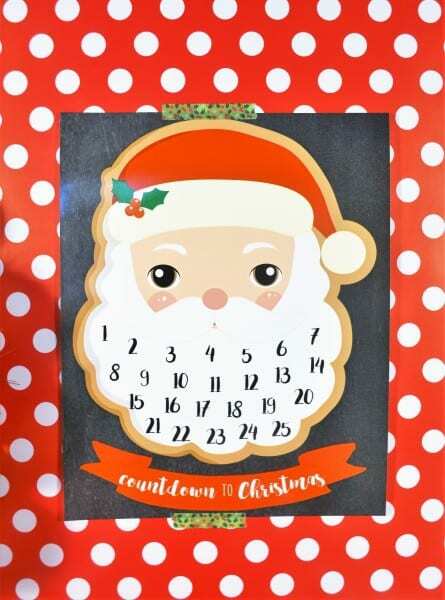 Use colored pom poms, buttons or even stickers for a fun and easy countdown activity. Last year’s advent calendar, featuring mini ornaments and small treats, was so much fun for the kids as they opened a new bag each day. This post has a collection of my favorite advent calendars to inspire you...so many amazing and creative options! 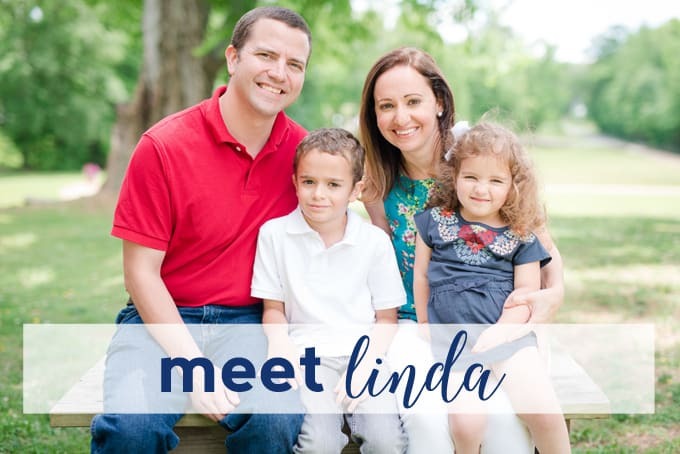 Looking for more ways to craft with kids? 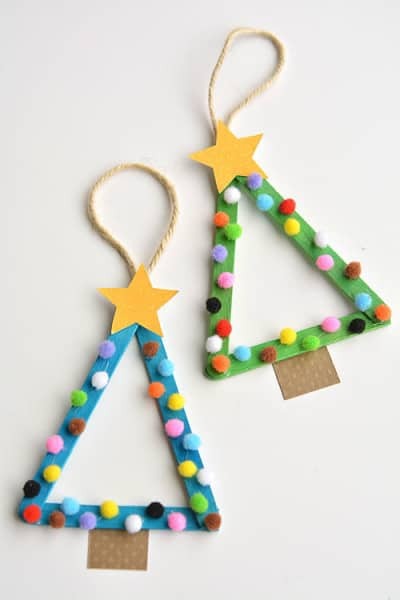 This collection of favorite Christmas Crafts for Kids has you covered! 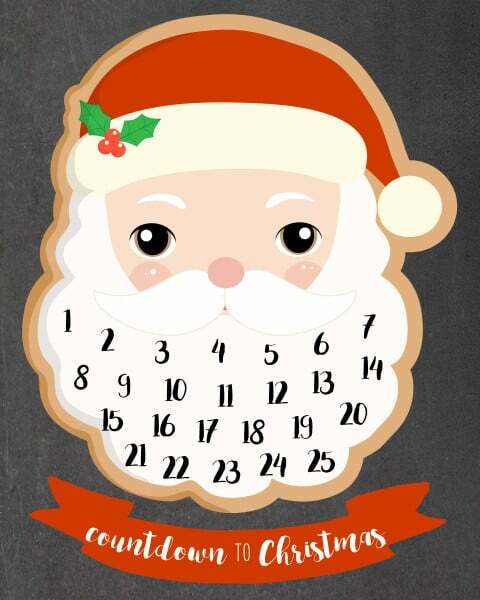 Thanks for reading all about my Santa Claus printable advent calendar! Have a crafty day!